If you feel like something is missing in your outdoor design, it could be an outdoor structure. 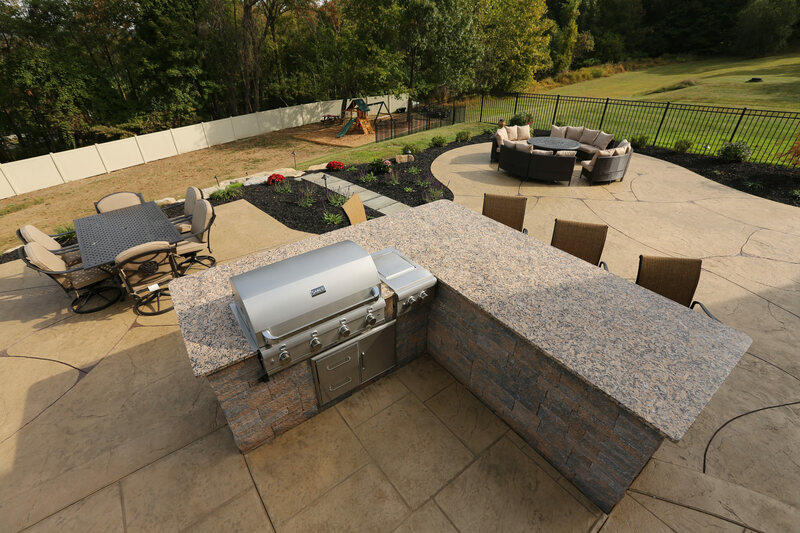 Whether you’re looking for an extension of your indoor living space with a unique deck design, or a gathering spot under a pergola for dinner parties, Signature Concrete Design will give you the perfect outdoor structure that balances your landscape. Shade structures add function and flare to your outdoor landscape. Choose from a wide variety of customizable and locally-manufactured shade structures. Don’t worry, we won’t let you pick something that doesn’t work in your space! 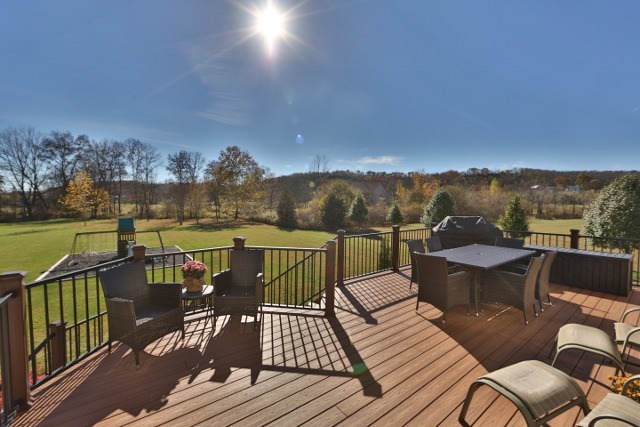 Decks are ideal for entertaining, relaxing, dining and sunbathing. Whatever your lifestyle calls for, there is a unique deck design for you. 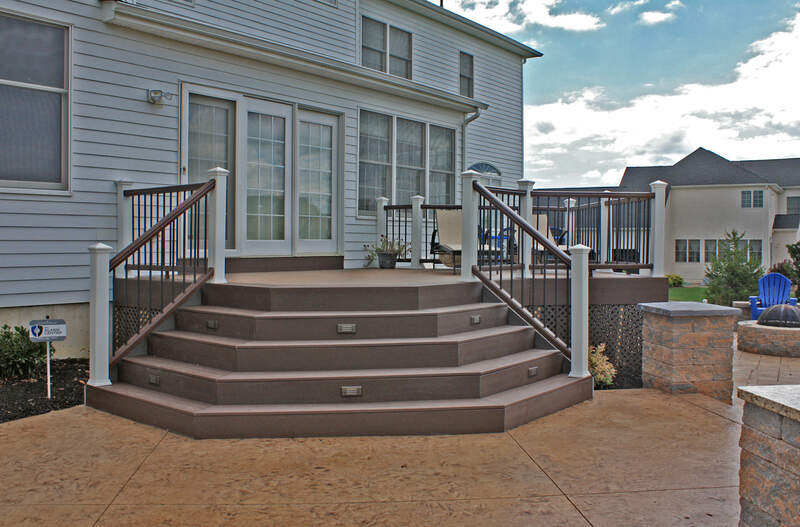 Flat decks, tiered decks, pool decks – you can customize color schemes, railing and lighting design to match your home and create an outdoor space unique to your style. 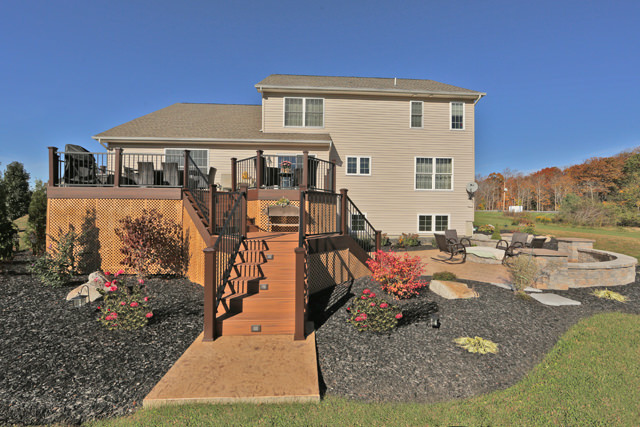 Signature Concrete Design builds both natural wood and composite decks. 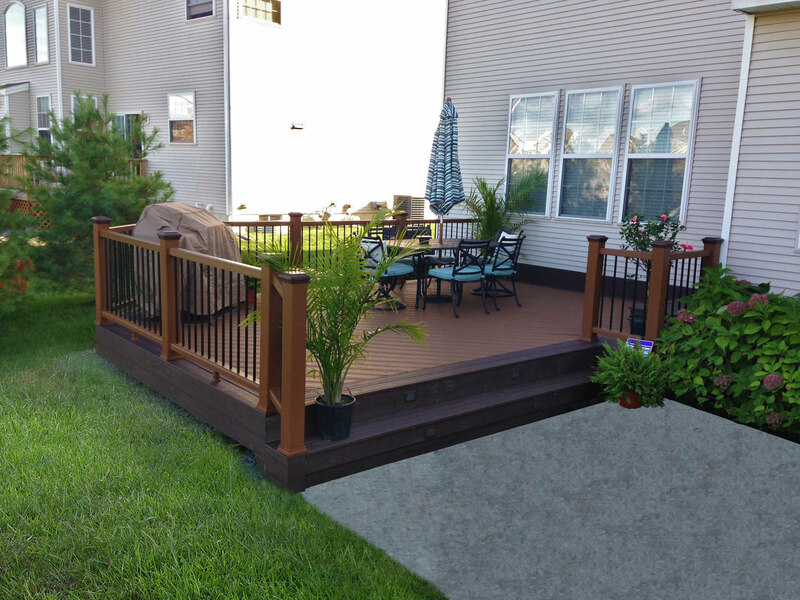 No matter what size yard you have or what your budget is, we’ll design a deck that suits the way you live. Because we always choose the finest materials, our composite of choice is Trex decking – a 95% recycled product. It provides stain & mold resistance and low maintenance – all without risk of warping, splitting or splintering. 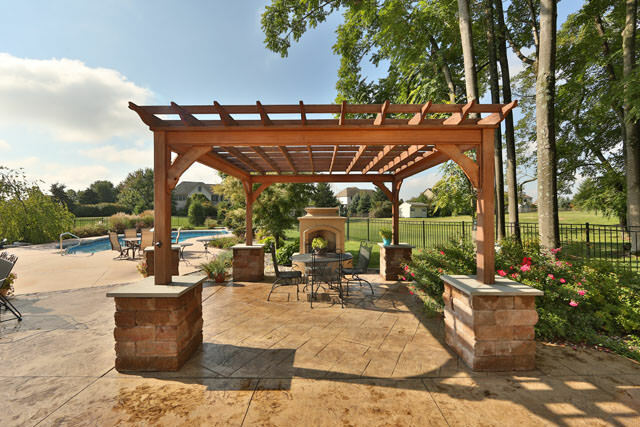 With a pergola shade structure, you’ll bring home the charm of old-world Europe. Arbors and pergolas provide character, shade and unique planting opportunities. Adding a canopy or curtains to your pergola allows your family to spend more time in comfort outdoors. Signature Concrete Design installs handcrafted pergolas made from either wood or vinyl. Available in many styles and sizes, your pergola will complement the design of your home and fit within the size and shape of your outdoor living area. Placed in the perfect spot, a gazebo can enhance your outdoor landscape. Open air sides or screened for an insect-free zone, a gazebo gives your family and friends a shady and relaxing space to enjoy all summer long. Gazebo shade structures are built using rich woods or low maintenance vinyl. Fully customizable with built-in benches, ceiling fans for extra cooling, cedar shake roofing or ornate spinals, your gazebo is designed around the way you live. A pavilion could be the hub of your family’s outdoor activities. Open air living spaces provide your family and friends with the perfect shade relief, shelter from passing storms, or a beautiful spot to enjoy a leisurely dining experience. 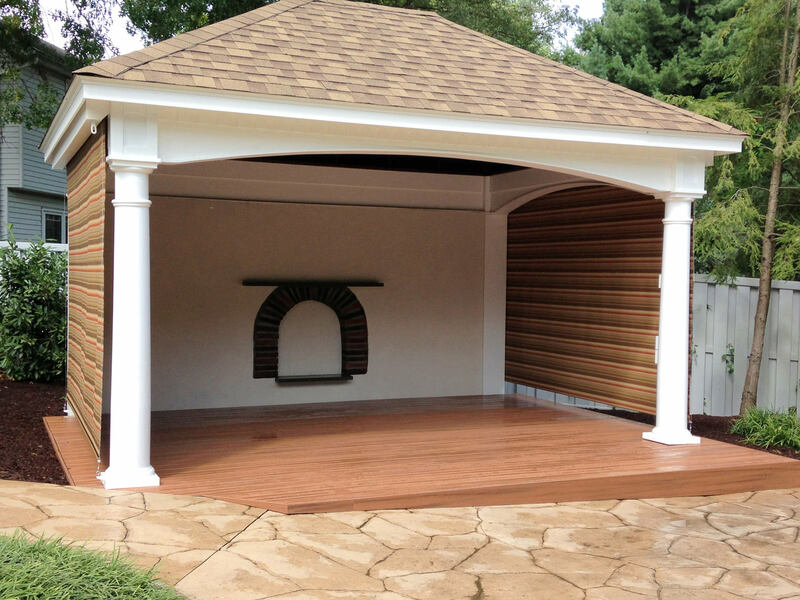 Wood decks, pergolas, pavilions, and gazebos need to be stained to protect the wood from rot, splitting and splintering. Just like our stamped concrete maintenance, our wood staining maintenance is a two-day process. We power wash the surfaces the first day and then stain your structure after it has thoroughly dried. You can select from wide variety of different finishes and colors to rejuvenate your structure. Learn How Outdoor Structures Enhance Your Landscape. Contact Signature Concrete Design and talk to our designer to see what the right solution is for your yard.